When you're young, every birthday is an exciting excuse to get your friends together and celebrate. 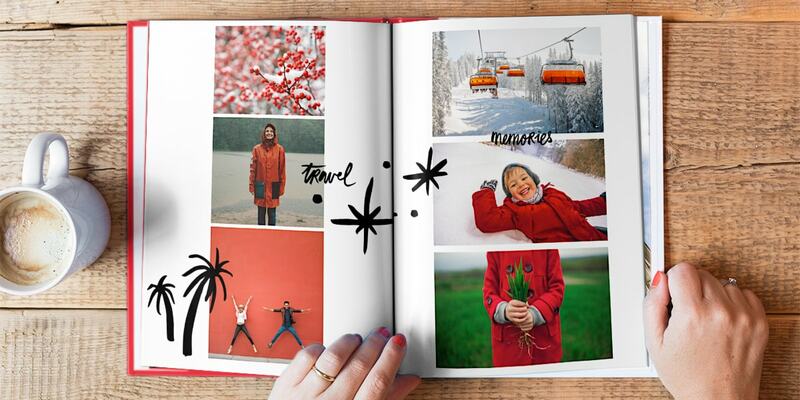 Document those playful moments with a birthday photo book like the one we've made below. We’ve created the ultimate kids birthday photo book and filled it with amazing clip art, backgrounds and designs to inspire you to make your own. We’ve also put together some tips and ideas that will help you out when you start creating. Whatever the age, our playful new designs will make you smile when you look back on their special day. Use a selection of your favourite photos from the big day and then arrange them in a quirky way using a mask in the creator tool. We love this hot air balloon themed background – playful and whimisical, it’s perfect for a kids party photo book. 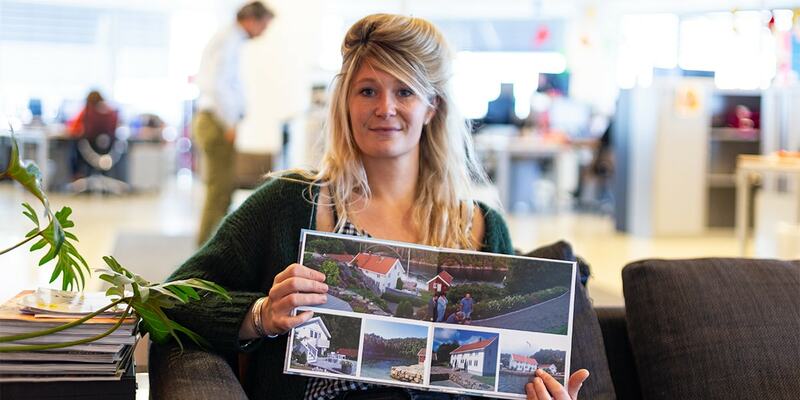 This cloud-themed background is a classic – it almost looks like the photos are floating. We’ve added lots of new clip art in our creator tool including these super cool dinosaur themed ones. Next to a photo of the birthday boy pulling a silly face, they will really make people smile. Our super hero-themed clip art were practically made for birthday party photo books. It looks like he features in his very own comic. Create a spread using a black and white colour palette for a break from the rest of the book. These emoji-inspired smileys add a playful touch. This frame looks like it’s come straight from out of space. We love the round photos inside it for a change from squares and rectangles. While it’s nice for the photo book to focus on the birthday boy, some of the photos will be of the guests and that’s great too. We like this page dedicated to a sibling bond. They’ll probably be embarrassed by it in years to come! Before the birthday party actually starts, it’s good to think of some extra photos that you might want to include in your photo book. This balloon shot and the confetti image are perfect extras on a page like this. 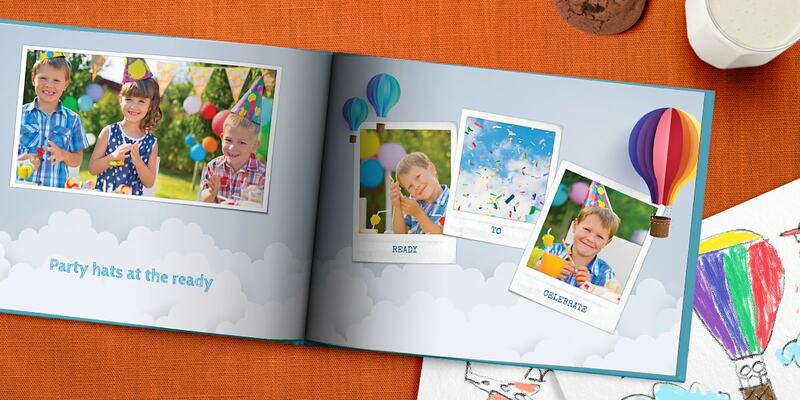 Whether you have a kids birthday party coming up or have organised one recently, we hope these tips come in handy when it comes to creating a kids birthday party photo book. Read our smartphone camera tips to get some hints on using your phone to take the photos or have a browse of our group photography tips so you can capture everyone at the party. If you want to start creating straight away, pick a photo book and go ahead. Share this post on Facebook and Twitter below and inspire your friends with our playful tips.